Charles Walters' car is out of this world. 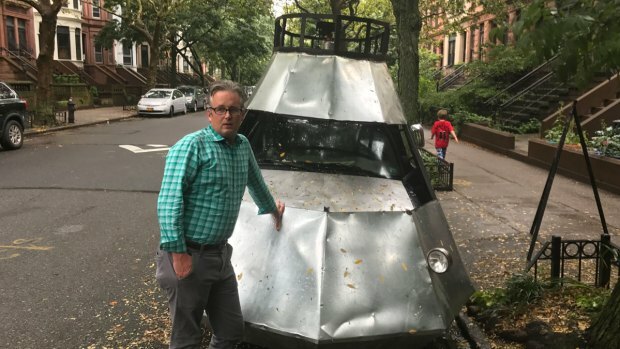 The Brooklyn dad's "spaceship" has been turning heads and filling Brooklynites' Instagram feeds since he parked it on his leafy Prospect Heights block a few days ago. 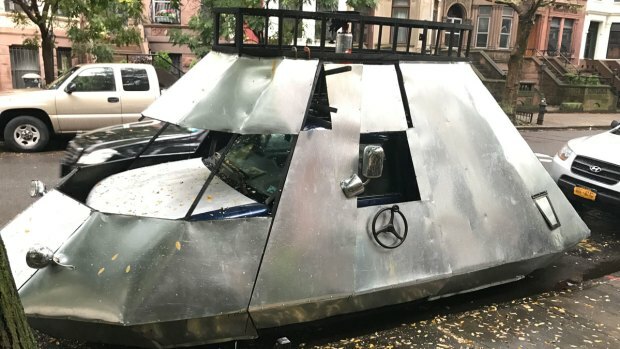 On a recent afternoon, a steady stream of pedestrians and drivers stopped when they spotted the futuristic vehicle on the brownstone block. They snapped selfies and photos of the car, a Chevrolet Blazer encased in steel, to give it its extraterrestrial appearance. "Is that a spaceship?" one driver yelled before belting out a laugh. Walters, a father of two and entrepreneur interested in drones and space travel, revels in the head scratching. "People they stop, and they look, and then they think, 'What is this'?" 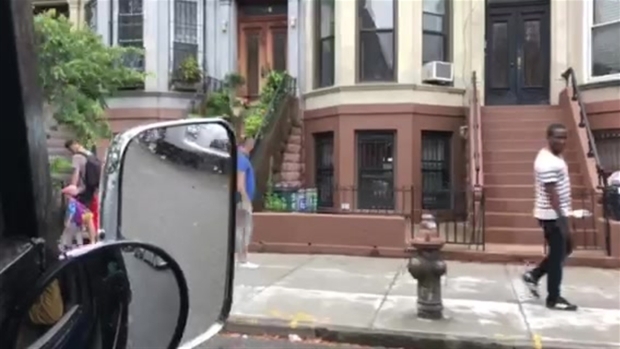 Walters told NBC 4 New York during a short spin around the neighborhood Tuesday. "The number one question we get is, 'What is this?'" Walters said he and a team of employees constructed the spaceship in Bushwick more than a year ago. It usually stays parked in a garage in the neighborhood, Walters said. But he took it to Prospect Heights over the weekend so he could play with his kids and pique Brooklynites' interest. Charles Walters took his "spaceship" out for a spin on a recent afternoon in Prospect Heights. "What's life about if you can't have fun and freak people out?" Walters said. Passersby are most definitely intrigued. "What kind of car is that?" a driver who pulled over next to the vehicle asked Walters as he was climbing out of the driver's seat Tuesday. "It's a spaceship," he joked. "Want to go to space?"